"... simply masterful Beethoven ... capped by a magisterial account of the Ninth Symphony, this is the Beethoven set for our time. Even if you already have umpteen other recordings of these works, you really owe it to yourself to hear this new set ..."
"Five Stars. If superb sonic reproduction is your first criterion, this set wins hands down. 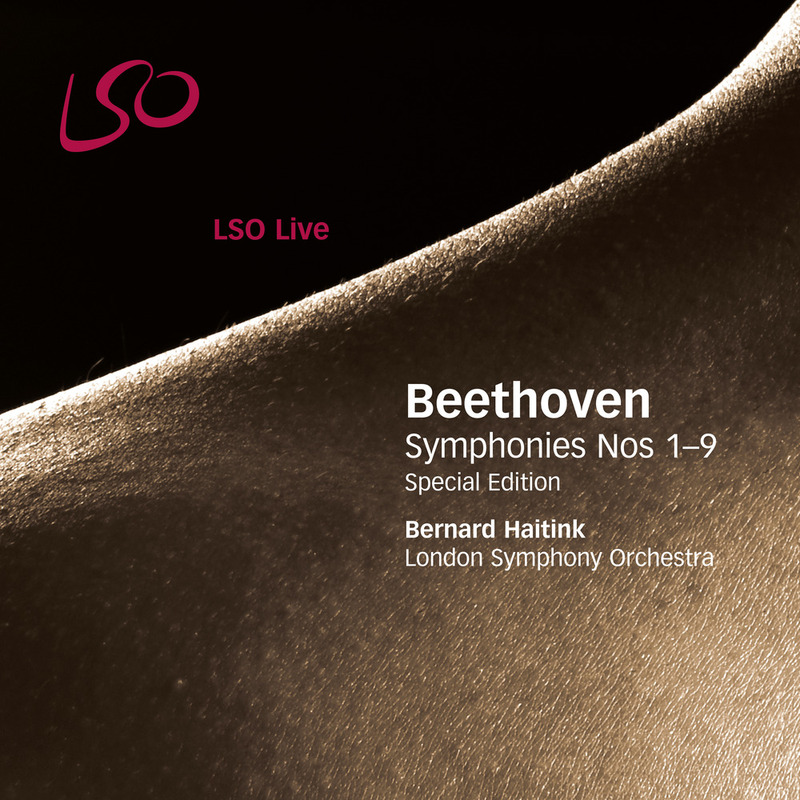 It’s amazing how uniformly accurate the LSO players are considering these are all live performances ... these are brilliant interpretations, with a feeling of great energy and thrust not found on many Beethoven symphony recordings ... there is a wonderful flow to the interpretations ..."
Beethoven redefined what a symphony could be. He gave his works a dramatic narrative and emotional intensity that sent blood flowing through the veins of music and set the tone for Romanticism in music. Many of the symphonies have their own journeys; from darkness to light in the Fifth Symphony, from death to rebirth in the Eroica, or from a bleak void to a glorious vision of love and tolerance in the Choral Symphony.